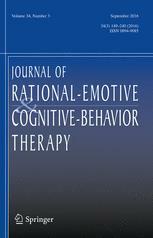 Published: Irrational beliefs in the articulated thoughts of college students with social anxiety. 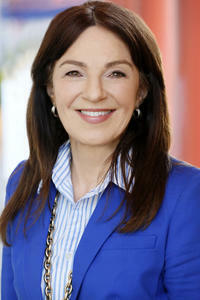 – Vivien Zighelboim, Ph.D.
Cognitive conceptualizations of social anxiety emphasize the role of negative self-statements, unrealistic expectations, and irrational beliefs in the development and maintenance of anxiety in social-evaluative situations. Research into these cognitive factors has entailed administration of questionnaires and instructions to subjects to write down their thoughts during a preceding or impending real-life encounter. These methodologies are criticized on several grounds, such as their assessment of abstract, generalized views by the subject of his/her typical way of thinking over a broad range of circumstances; constraints on responses because of experimenter-provided alternatives; and delays between the eliciting events and self-talk such that recall is subject to distortion and forgetting. Reported here is the use of a recently developed paradigm for uncovering thoughts in complex social situations. In the articulated thoughts during simulated situations method, subjects role-play participation in an audio-taped interpersonal encounter and, at predetermined points, verbalize thoughts elicited by a short segment of the fictitious event. The think-aloud data are taped for later content analysis. The purpose of this study was to explore the relationship between irrational beliefs and social anxiety. Results confirm those of two previous related experiments in that subjects articulated thoughts of greater irrationality when confronted with a stressful social-evaluative situation than with a neutral one. In addition, individuals with a tendency to become anxious in social situations articulated more irrational thoughts than did control subjects, confirming the basic assumption of cognitive-behavioral approaches that certain patterns of unrealistic thinking are associated with psychological distress.